You know the speech. 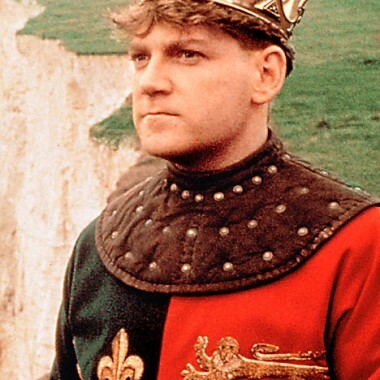 The one where a youthful Kenneth Branagh references “manhoods” and makes a big deal about this guy called St. Crispin and how it means the English are going to wreak destruction on the French at Agincourt. 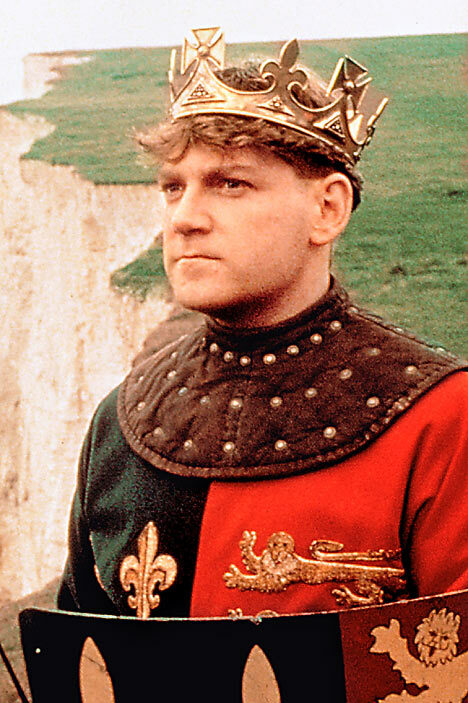 Not gonna lie, I sat entranced, jaw on floor, as a wide eyed 15 year old Sarah in front of the screen when I first watched Branagh’s break-out film, Henry V.
Also, Branagh looked a lot like a boy I had a crush on, Andrew. Andrew turned out to be gay, despite pretending to french kiss me during his 14th birthday party. Not sure if this applies to anything, but you know, full disclosure. Andy, if you’re reading this, you weren’t fooling anyone. Want to know another TOTALLY MIND BLOWING FACT about October 25, aka St. Crispin’s Day, patron saint of shoemakers? See this guy? 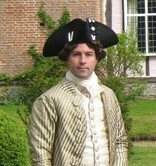 This guy is Francis Classe. He’s also my fiancé, but that’s not what this factoid is about, as incredible as that is… No, Francis, as many of you already know, makes awesome historical footwear. He’s also a twin. He and his brother were also born on… dun dun duuuun… October 25th! Let’s recap: October 25 = Saint Crispin & Crispinian’s Feast Day = Martyred twin saints = Patrons of shoemakers and leatherworkers = Feast day = Battle of Agincourt, which has nothing to do with shoemaking = Five hundred years later Francis was born (plus twin) = Francis takes up interest in shoemaking = MIND BLOWN. Now go wish my sweetie a happy birthday. He likes the attention. 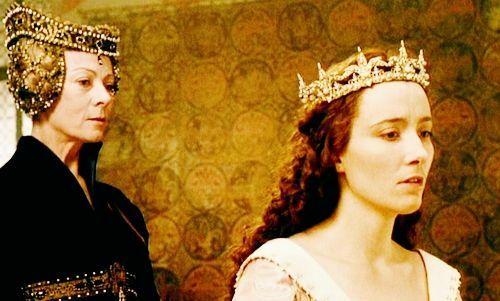 Ok, so now that that’s been squared away we can move in for the tie-in to the actual topic of this blog… The costumes from Branagh’s Henry V.
Phyllis Dalton was the costume designer for the film and won the Academy Award for Best Costume in 1990. Dalton is also the designer for none other than The Princess Bride, which now that I think about it, makes total sense. Both films have women’s clothing that has that late-medieval, lush, glittering, fairy princess quality to them. Aparently, Dalton was also part of the Branagh tribe during the golden era of Kenneth Branagh films… She designed for Much Ado About Nothing (which will likely be an upcoming podcast at some point), and the break-out Branagh/Thompson film Dead Again, in which the hero and heroine travel between a contemporary (late 20th century) world and the 1940s. 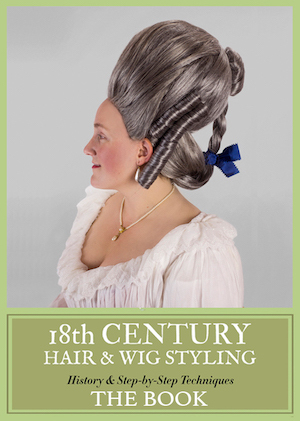 and the one series that almost everyone has on their 10 ten list of “Greatest 18th c. Costume Flicks Ever,” The Scarlet Pimpernel. (BTW, we are totally going to podcast this one eventually, too). Yeah. Not much. Though, I did realize that the robe that Buttercup wears in the scene where she confronts Humperdink after her nightmare, and the robe that Katherine wears during her English lesson with her lady in waiting, are actually THE SAME. Except Buttercup’s robe is blue and Katherine’s is cream, but they’re the same cut and fabric. 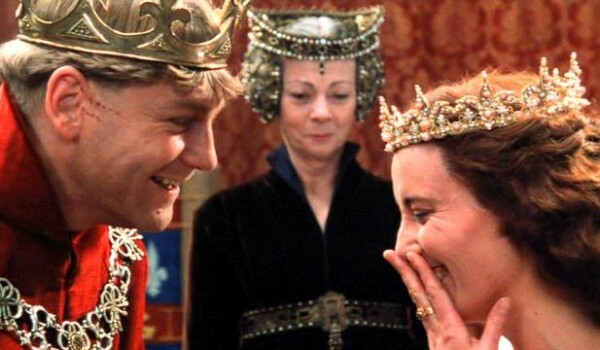 Wonder if the robe was from The Princess Bride, which was made a few years prior to Henry V? 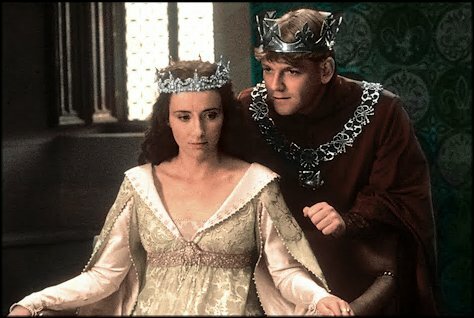 Wonder if there are other costumes from The Princess Bride that are recycled in Henry V? This is worth investigating, but as I sadly only own very worn out VHS copies of both movies, I’m not sure when I’ll be able to get around to watching both back to back (which would be an interesting double feature, now that I think about it). And speaking of VHS copies, neither Amazon Prime, nor Netflix streams Henry V, and the going rate for a DVD copy is $60. I find this highly irritating. Even YouTube wasn’t much help, since most of the clips are potato quality. So, I’m just going to leave you with two YouTube clips of my favorite parts of the film: The English lesson, and Henry wooing Katherine. Gosh, Emma Thompson is adorable! Special thanks to Movie Screencaps, which although doesn’t have Henry V capped, they have some very nice caps of The Princess Bride which I happily snagged for this post. I have both films on DVD or bluray and love bothe of them. I too was born on 25 October. But I always associated it with Johann Strauss II composer of Blue Danube and other Viennese waltzes. 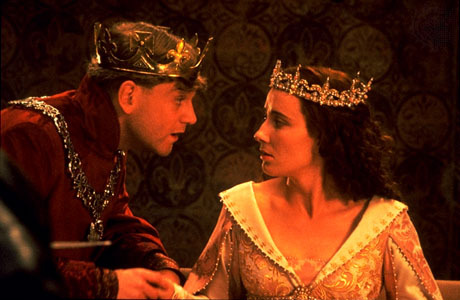 I enjoyed Branagh Henry V. Emma Thompson’s English lesson scene was a favourite. Happy b-day to your shoemaking squeeze–that’s a nifty coincidence! Did he make your gorgeous shoes in your “I Want Candy” video? He’s a talented boy! 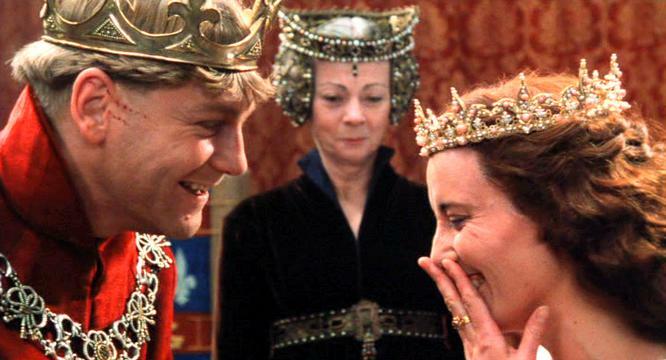 I LOVE this film–it’s probably my favorite Shakespeare film, partly because it came out as I started grad school in Stratford-upon-Avon. The French look awfully groovy in this–and the French herald (my fave role) has a terrific hat that he uses to convey his character’s changing attitude toward Henry. Just wanted to note that not only did Katherine and Buttercup have the same dressing gown, take a hard look at their coronets. They are in fact the same one, I think.